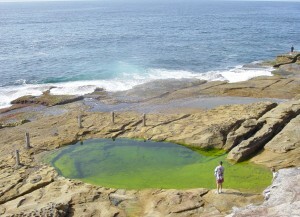 Steep steps to this tiny, rather private public pool are visible from the popular Eastern Beaches coastal walking track. Well-lit at night. Images of this pool are far more likely to be found in family albums than at exhibitions of artworks. 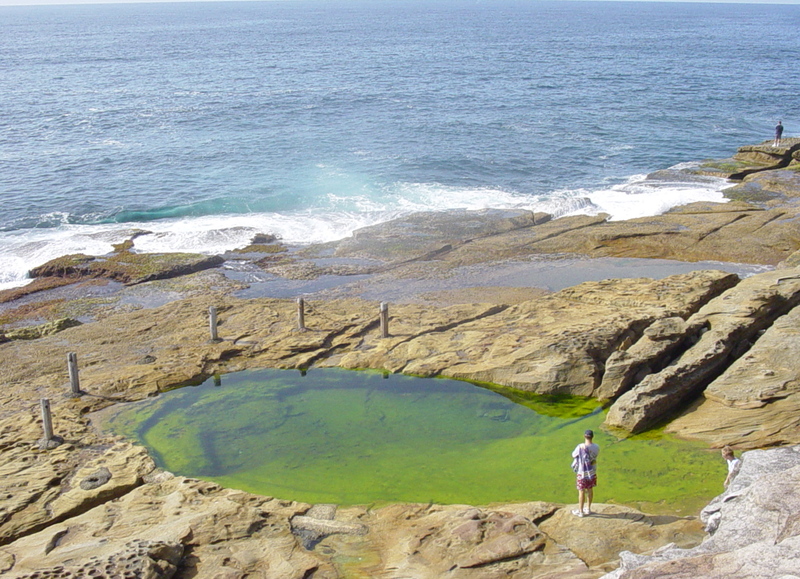 The South Coogee rock pools were popular with local children. South Coogee Public School opened in 1945. A Randwick Apex Club project enlarged the site’s main natural pool. 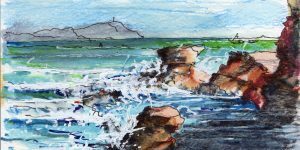 Local residents who kept the pool clean found that the seaweed they took out was popular with rock fishers using this well-known spot for catching blackfish.